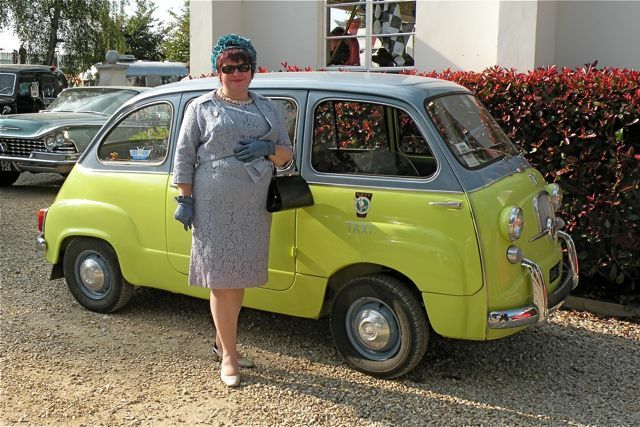 Mario is a 1962 Fiat 600D Multipla. Having originally belonged to a plumber in Rome, Mario ended up in an Alfa Romeo dealer in Eindhoven, Holland. He was purchased in a rather sorry state and brought back to the UK where he was lovingly restored by James and Jane. He now resides in Haslemere, Surrey and enjoys lots of trips out to the seaside and to car shows. Mario is part of the GRTC the period vehicle fleet at the prestigious Goodwood Revival where he has a great time driving VIPs around.